Although coal has historically proven to be economically beneficial in many states, the emissions produced by coal-fired power plants and the methods of mining the finite resource have negative environmental effects. It therefore comes as no surprise that environmental agencies have made it their mission to take out coal once and for all. 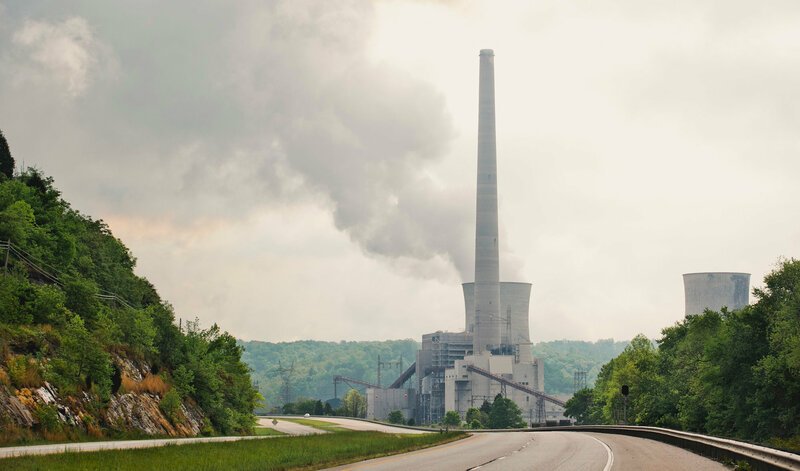 Although this decision is viewed as a victory for the coal industry, it may be too late for many power plants that have already been shut down, or that are in the process of shutting down. [xvi] Additionally, the EPA has been vocal in characterizing the Supreme Court’s ruling as “very narrow” – applying only to “the EPA’s process for writing limits on mercury, arsenic and other toxic air pollutants from power plants.”[xvii] This, therefore, allows the EPA to pursue other programs that target other sources and types of air pollution. [xviii] Only time will tell whether the Supreme Court’s ruling will actually help the coal industry, but the decision certainly signals to the EPA that they cannot act without full justification for the standards it sets. [i] Reid Wilson, The states that will be hit hardest by the EPA’s coal regulations, The Washington post (June 2, 2014), http://www.washingtonpost.com/blogs/govbeat/wp/2014/06/02/the-states-that-will-be-hit-hardest-by-the-epas-coal-regulations-in-one-map/. [iii] U.S. Energy Information Administration, Annual Coal Report 2013 (2013), available at http://www.eia.gov/coal/annual/pdf/table18.pdf. [iv] Coral Davenport, Obama to Take Action to Slash Coal Pollution, NY Times (June 1, 2014), http://www.nytimes.com/2014/06/02/us/politics/epa-to-seek-30-percent-cut-in-carbon-emissions.html?_r=0. [v] Adam Liptak & Coral Davenport, Supreme Court Blocks Obama’s Limits on Power Plants, NY Times (June 29, 2015), http://www.nytimes.com/2015/06/30/us/supreme-court-blocks-obamas-limits-on-power-plants.html?_r=0. [vi] Juliet Eilperin & Steve Mufson, Everything you need to know about the EPA’s proposed rule on coal plants, The Washington Post (June 2, 2014), http://www.washingtonpost.com/national/health-science/epa-will-propose-a-rule-to-cut-emissions-from-existing-coal-plants-by-up-to-30-percent/2014/06/02/f37f0a10-e81d-11e3-afc6-a1dd9407abcf_story.html. [vii] Davenport, supra note 4. [viii] Eilperin & Mufson, supra note 6. [xi] Press Release, American Electric Power, AEP Shares Plan for Compliance with Proposed EPA Regulations (June 9, 2011), available at https://www.aep.com/newsroom/newsreleases/?id=1697. [xii] Liptak & Davenport, supra note 5. [xvi] Alex Guillén, Supreme Court’s ruling comes too late for coal, Politico (June 29, 2015, 7:48 PM), http://www.politico.com/story/2015/06/supreme-court-coal-ruling-epa-too-late-119569.html. [xvii] Timothy Cama, EPA: Supreme Court ruling won’t stop climate rules, The Hill (June 30, 2015, 3:08 PM), http://thehill.com/policy/energy-environment/246562-epa-supreme-court-ruling-wont-stop-climate-rules. Older PostBP Oil Spill Settlement Is Largest in American History, but Is It Really as Great as It Seems?